In a few moments, we will see in the New Year of 2016. The sensation of this wonderful moment between the past and the future is familiar since childhood. We look forward to it with joy, hope and excitement, believing in the best. Traditionally, we celebrate it with our families, with all our near and dear ones. Of course, not all manage to see the New Year in with their families. People have to work at hospitals and production facilities, perform their service and combat duty, defend our borders, and be on regular duty ensuring our security on land, at sea and in the sky. We are grateful to all those who are always on their post, day and night, weekdays and holidays. Today, I would like to extend special greetings to those of our service members who are fighting international terrorism, defending Russia’s national interests at distant frontiers, showing their willpower, determination and staunchness. Though, these are the qualities we need all the time, whatever we are doing. The success of the entire nation depends on the efficient labour and achievements of each one of us. We are united by the same goals, by our common desire to benefit our Motherland and by our sense of responsibility for its future. 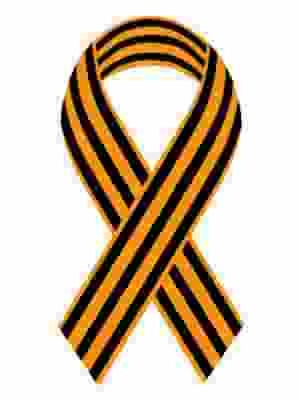 In the outgoing year of 2015, we marked the 70th anniversary of Victory in the Great Patriotic War. Our history, the experience of our parents and grandparents, their unity in times of trouble and their willpower shall always serve as an example for us. They have helped and will help us to meet all current challenges with dignity. On this New Year’s night, we feel especially strongly just how much our near and dear ones mean to us. It is so important for all to be healthy and everything to be fine. For our parents to be surrounded by love and care, so that all the good things they have ever taught us come back to them. Let our children grow smart and active, while love and responsiveness, kind-heartedness and compassion support us in our everyday chores. There are a few seconds left before the New Year. Let us wish each other success and happiness. Let us thank each other for understanding and support, for sympathy and responsiveness we give each other. And let us raise a toast to the prosperity and wellbeing of Russia! Happy New year to you! Happy 2016! 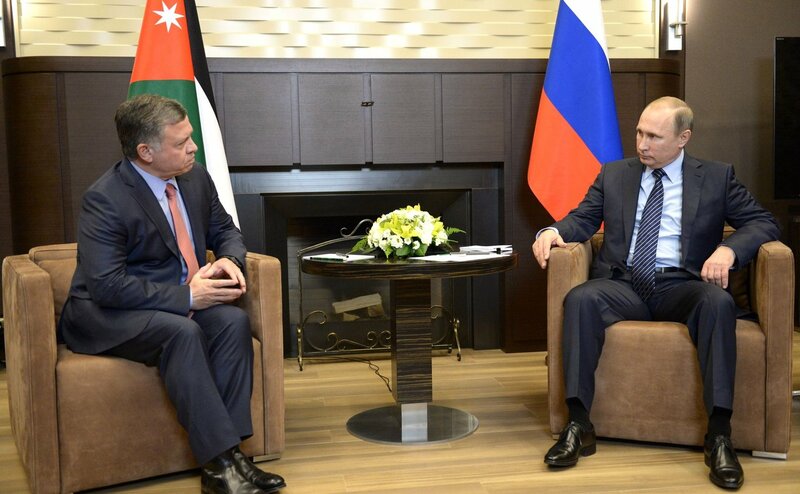 Abdullah II King of Jordan of Jordan: My dear brother, I thank you very much for seeing me today, on a day when you have many weighty issues on your shoulders. 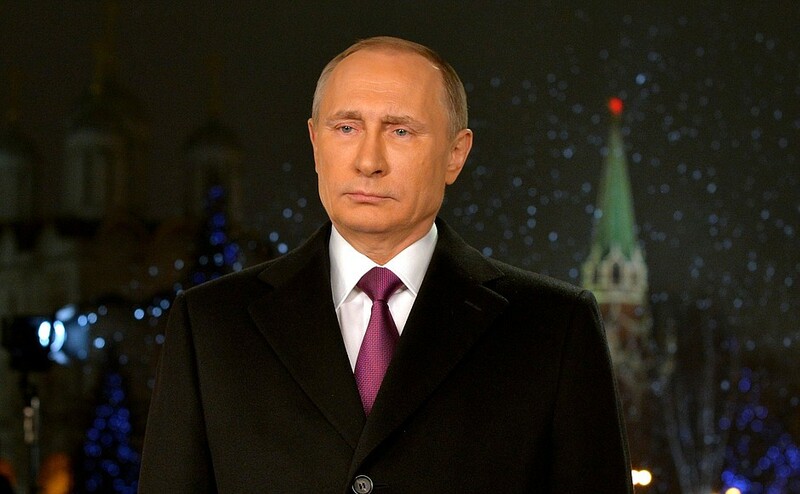 A few words about what preceded Putin’s speech. After the schedule of speeches was revealed, NASA immediately convened a press conference at almost the same time with some sensational details about Mars. It turned out that small rivers might flow there, or, perhaps not. It is clear that this was done so that Americans would change the channel and not watch Putin’s speech. 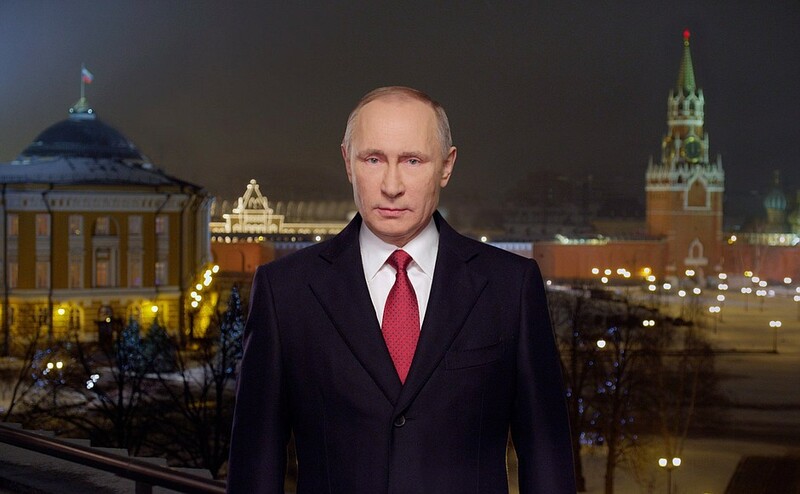 Many, including myself, noticed that simultaneously with the beginning of Putin’s speech a strange noise was heard in the room coming from the speakers. The noise was distinct and irritating. 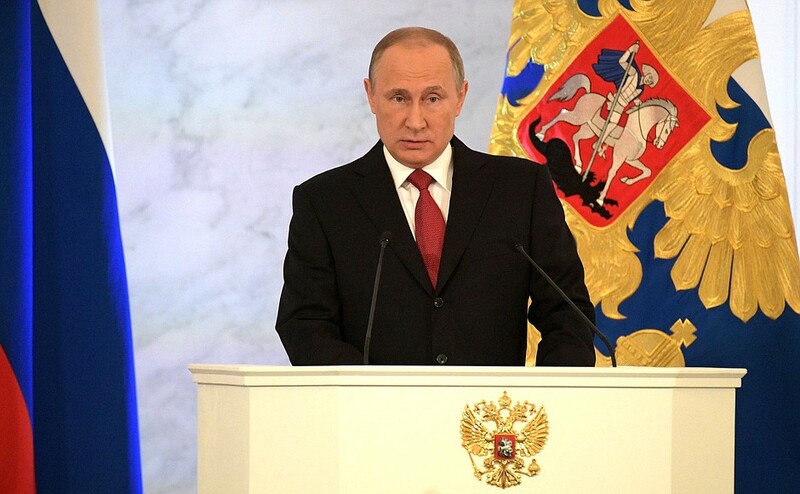 The aim is clear – to ruin the impression from the speech and try to bring Putin a little out of balance. The intrigue was revealed by Obama, who in his speech called Assad a dictator, expressed complaints about Crimea, in short, ran the old song. Which is encouraging – it means they will not agree and there will not be any more hypocritical smiles and more hoots of the Russian fifth about “the extended hand of friendship” [from the US]. 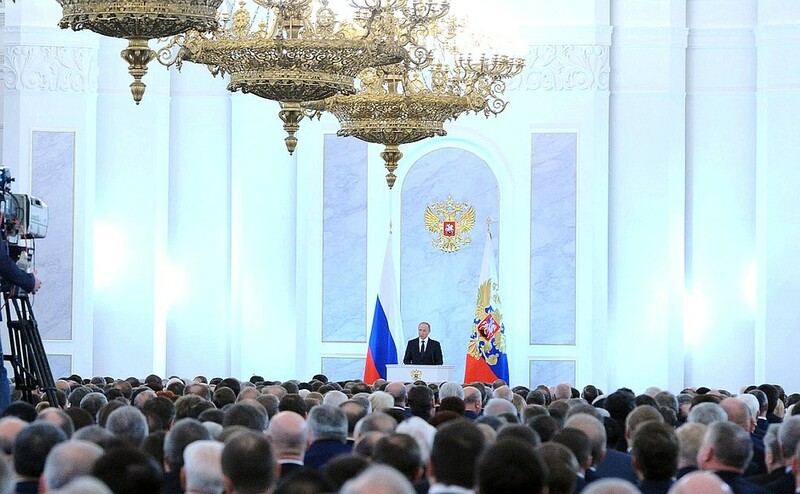 In Putin’s speech, who said everything we already know about the Western destruction of the Middle East and support of terrorists, asking a rhetorical question: “Do you realize what you’ve done?”, – I would emphasize one point that helps to envision his future course. The President first stressed, that the only legitimate authority in Syria is the Assad government, and secondly- that no one can arbitrarily act in circumvention of the UN Charter. 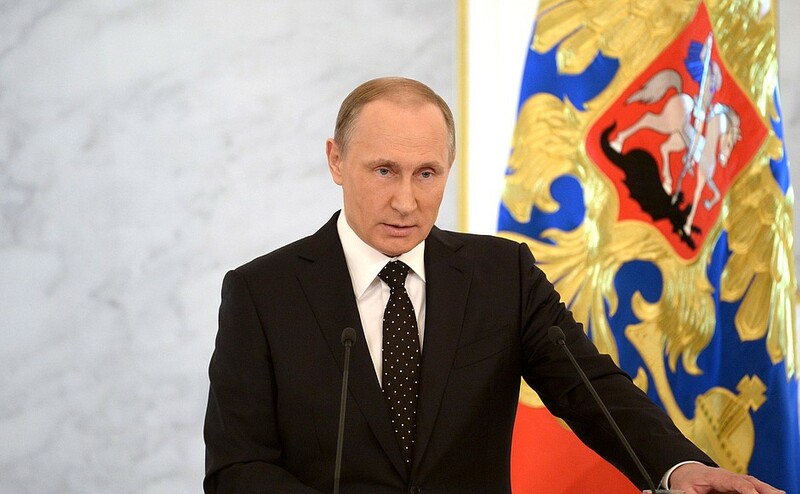 Since Russia has a veto power, then no coalition can legitimately act without our consent. But we can act without the consent of the United States and their lackeys because we are asked by the legitimate government of Syria. This is a strong position. Another question is what will we do if the US still dares to attack Assad. But, obviously, all the consequences of such a step Putin will explain to Obama face-to-face in today’s talks. I really hope that even a superficial agreement will not be achieved and Russia will continue the hard line on squeezing the U.S. out of Eurasia.